Rehydrate with electrolyte solution, or best possible alternative, e.g., sports drinks, water, etc. Sea Diving: Call the Coastguard, DSC or VHF Channel 16/Dial 999 (24 hrs). Then call the National Diving Accident Helpline on 07831 151 523 (24 hrs) in England and Wales or 0345 408 6008 in Scotland. On Land: Please contact your nearest available BHA member chamber. If you do not know the location of your nearest BHA member chamber then please call the 07831 151 523 (24 hrs) in England and Wales or 0345 408 6008 in Scotland. If the patient is seriously unwell or deteriorating rapidly, inform the emergency services promptly by dialing 999 on land or VHF Channel 16 if at sea. or proceed to your nearest Accident and Emergency Department. Contact your nearest available BHA member chamber. If you do not know the location of your nearest BHA member chamber then please call the BHA Carbon Monoxide Helpline on . If your interest is in connection with a current patient: YOU HAVE TO ACT NOW!! Contact your nearest hyperbaric unit immediately. In England, Northern Ireland, Scotland and Wales please contact the emergency services on 999. Then please feel free your nearest available BHA member chamber. What is Cerebral Gas Embolism (CGE)? Symptoms and signs of Gas Embolism, or the presence of bubbles of air or any other gas in the circulation, varies widely and its consequences range from mild discomfort (seen as microbubbles in some cases of decompression illness) to causing rapid death, particularly when caused by various invasive medical/surgical procedures, but occasionally also seen as diving accidents. Upon entering the vascular system, gas bubbles follow the blood stream until they obstruct small vessels. Depending on the access route, gas embolism may be classified as venous or arterial gas embolism. Diagnosis is based on the sudden occurrence of neurological and/or cardio- respiratory manifestations. The effect on the brain is similar to thrombotic or ischaemic stroke, with infarction of vital areas if the circulation is not improved rapidly. Cerebral Venous Gas Embolism (CVGE) is an equally dangerous variant of gas embolism with gas bubbles preferentially entering the cerebral venous circulation under certain circumstances, rather than following the flow of blood to the right side of the heart. The main symptom is the sudden occurrence of ANY neurological and/or cardiovascular signs which can be instantaneous, delayed by just a few minutes or several hours after the causing event. The pulmonary circulation generally filters bubbles in pulmonary arteries from the right ventricle and systemic veins. A right-to-left shunt in the heart can by-pass this filter, allowing bubbles to be pumped from left ventricle into aorta and its branches. Bubbles in the pulmonary veins can travel to the left side of the heart, and reach the aorta, and thus the brain (and rest of the body). The effect may appear like a cerebro-vascular accident (stroke) from any other cause. Once suspected, treatment for CGE must begin at once, the source identified and eliminated, life support be instituted as required and Hyperbaric Oxygen provided as quickly as possible. Pressures of 2.8 ATA are used, and with air-breaks in order to minimise oxygen toxicity. Further Hyperbaric Oxygen treatments are determined by the clinical progress of the individual patient and continued until resolution of all symptoms or failure to achieve further improvement. There is no dispute about the applicability of Hyperbaric Oxygen in this condition, however, its recognition in clinical practice is difficult and very few cases are referred to Hyperbaric Medicine departments in good time. It is hardly ever too late to discuss the possibility of benefit though. The rarity of air embolism in any one centre makes it unlikely that many Clinicians have seen how devastating CGE can be, nor what can be achieved by using Hyperbaric Oxygen in addition to conventional management. Controlled trials are impossible to perform, since withholding Hyperbaric Oxygen from the control group would be highly unethical. Bessereau J, Genotelle N, Chabbaut C, Huon A, Tabah A, Aboab J, et al. Long-term outcome of iatrogenic gas embolism. Intensive Care Medicine. 2010;36(7):1180-7. Ploner F, Saltuari L, Marosi MJ, Dolif R, Salsa A. Cerebral air emboli with use of central venous catheter in mobile patient. Lancet. 1991;338:1331. Schlimp CJ, Loimer T, Rieger M, Lederer W, Schmidts MB. The Potential of Venous Air Embolism Ascending Retrograde to the Brain. Journal of forensic sciences. 2005;50(4):906-9. Blanc P, Boussuges A, Henriette K, Sainty J, Deleflie M. Iatrogenic cerebral air embolism: importance of an early hyperbaric oxygenation. Intensive Care Medicine. 2002;28:559-63. Trytko BE, Bennett MH. Arterial gas embolism: a review of cases at Prince of Wales Hospital, Sydney, 1996 to 2006. Anaesthesia and Intensive Care. 2008;36:60-4. Fracasso T, Karger B, Schmidt PF, Reinbold WD, Pfeiffer H. Retrograde Venous Cerebral Air Embolism from Disconnected Central Venous Catheter: An Experimental Model. Journal of Forensic Science. 2011;56(S1):S101-S4. Bothma PA, Brodbeck A, Smith B. Cerebral Venous Air Embolism Treated with Hyperbaric Oxygen: A Case report. 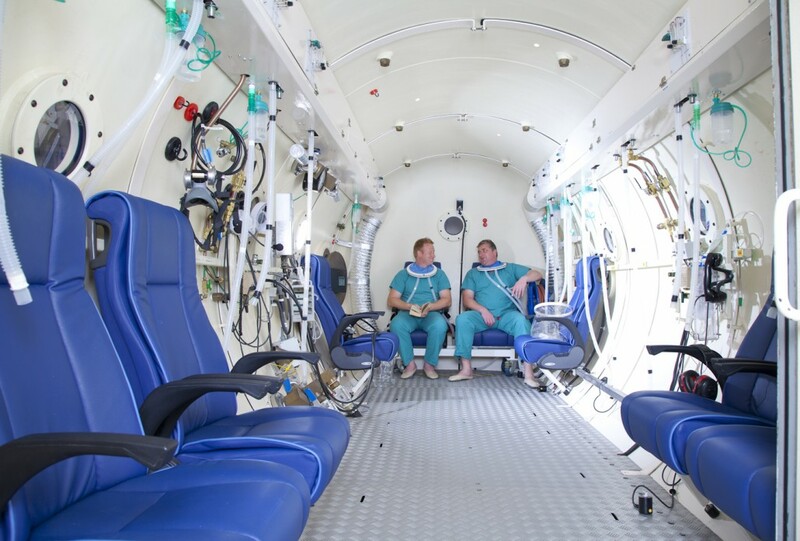 Diving and Hyperbaric Medicine. 2012 June; 42(2):101-103. Souday V, Radermacher P, Asfar P. Cerebral arterial gas embolism-a race against time! Crit Care Med. 2013 Jul;41(7):1817-9. PubMed PMID: 23774349. Buompadre MC, Arroyo HA. Accidental cerebral venous gas embolism in a young patient with congenital heart disease. J Child Neurol. 2008;23:121-123. Br J Anaesth. 2013 Dec 18. (Editorial Epub ahead of print) PMID: 24355833). Retrograde cerebral venous gas embolism: are we missing too many cases? Bothma PA, Schlimp CJ. Beevor, H. and G. Frawley (2016). “Iatrogenic cerebral gas embolism: analysis of the presentation, management and outcomes of patients referred to The Alfred Hospital Hyperbaric Unit.” Diving Hyperb Med 46(1): 15-21. Gorman, D., et al. (1987). “Redistribution of cerebral arterial gas emboli: A comparison of treatment regimens.” 9th International Symposium on Underwater and Hyperbaric Physiology Undersea and Hyperbaric Medical Sociaety, Bethesda, MD: 1031-1050. Helps, S. C. and D. F. Gorman (1991). “Air embolism of the brain in rabbits pretreated with mechlorethamine.” Stroke 22(3): 351-354. Helps, S., et al. (1990). “The effect of gas emboli on rabbit cerebral blood flow.” Stroke 21(1): 94-99. Helps, S., et al. (1990). “Increasing doses of intracarotid air and cerebral blood flow in rabbits.” Stroke 21(9): 1340-1345. Weenink, R. P., et al. (2012). “Animal models of cerebral arterial gas embolism.” J Neurosci Methods 205(2): 233-245. Please contact your nearest available BHA member chamber. If you do not know the location of your nearest BHA member chamber then please call the National Diving Accident Helpline on 07831 151523 (24 hrs). Call Aberdeen Royal Infirmary on 0345 408 6008 (24 hrs) – ask for the emergency hyperbaric doctor. Membership of the BHA is open to hyperbaric facilities in the British Isles run by organisations that accept and treat emergency referrals for hyperbaric oxygen therapy. Enquiries regarding membership should be directed to the Association’s secretary.